Garnet black color. 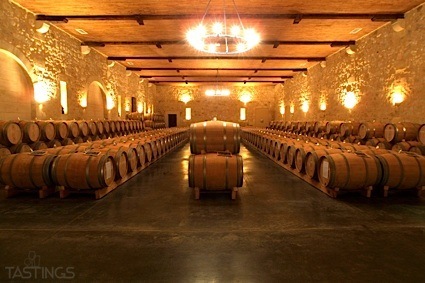 Aromas of vanilla-almond nougat, red and black licorice, and wax candle with a satiny, crisp, dry-yet-fruity medium-to-full body and an effortless, carefree cigar wrapper, chocolate chewy candy, stewed dark fruit, and pickled watermelon rind finish with medium, woody tannins and moderate oak flavor. A sturdy red for weeknight meals. Bottom Line: A sturdy red for weeknight meals. 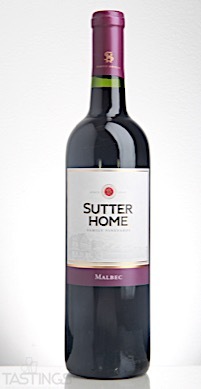 Sutter Home NV Malbec, Mendoza rating was calculated by tastings.com to be 86 points out of 100 on 9/18/2017. Please note that MSRP may have changed since the date of our review.